The situation outside the plaza became violent late Sunday following a brawl between two groups just hours after police had instructed those congregated outside the plaza to disperse. KUALA LUMPUR: It all started with the alleged theft of a smartphone. This was on Saturday, July 11 when a 22-year-old unemployed man and his friend went to Low Yat Plaza, a haven for those seeking IT and electronic gadgets, located on Jalan Bukit Bintang. According to Low Yat building management, the suspect was detained at about 5.40pm for allegedly trying to steal a smartphone from one of the kiosks there. He was then handed over to the police. The police subsequently released the suspect's friend, who had tested positive for drugs. According to the Inspector General of Police Tan Sri Khalid Abu Bakar, its believed that the youth, upon his release, instigated his friends to return to the scene for retribution. The men were said to have gone berserk and started attacking several shop attendants. Videos and images taken by onlookers at the scene went viral on social media almost immediately after the drama unfolded Saturday night. 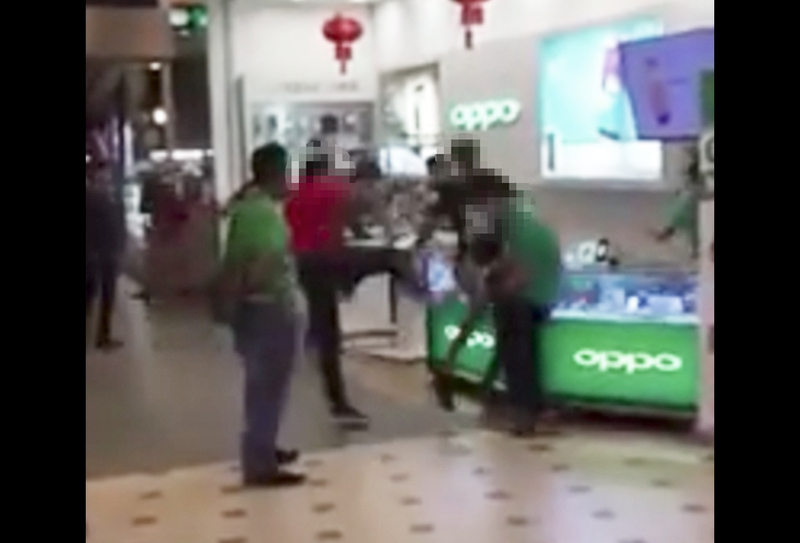 The brawl was initially reported on social media, to have been sparked by the sale of a fake smartphone to the suspect, who then confronted the shop owner who supposedly sold him the item. But a police investigation soon revealed that the theft of a smartphone had indeed occurred. Several roads to the plaza were also closed following the brawl and four individuals were detained. 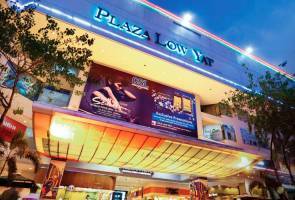 Police said the situation at Low Yat Plaza was under control and denied that the brawl was racially-motivated. Low Yat - @PDRMsia sahkan bahawa keadaan tenang dan terkawal. Tiada pergaduhan atau rusuhan. Jgn percaya khabar angin. Polis berkawal. At least three people were injured including a reporter and a photographer when a group of over 100 men started rioting near Low Yat Plaza shortly after midnight. The commotion involved several fist fights. Motorcycle helmets and other items were also thrown between the clashing groups. The situation calmed down after the police Federal Reserve Unit (FRU) arrived at the scene. The crowd dispersed about 12.40am. Police personnel including the FRU were closely monitoring the situation until 2am. Roads leading to Jalan Imbi and Jalan Bukit Bintang were also closed. Police detained 19 individuals believed to have been involved in the fighting. All individuals detained were men aged between 16 and 26. A remand order for four days was issued beginning Monday. Police launched a manhunt for a controversial blogger known as Papa Gomo. The blogger was being sought for spreading false information regarding the initial brawl at Low Yat Plaza. The suspect who was alleged to have stolen a smartphone from the plaza, Shahrul Anuar Abdul Aziz, is charged at the Magistrate Court. He pleaded not guilty to theft. He had earlier pleaded guilty after the charge was read out to him twice, but changed his plea to not guilty after the charge was read a third time. Police also detained Malaysian Armed Forces Veterans Association chief Mohd Ali Baharom, also known as Ali Tinju, under the Sedition Act for allegedly inciting mob violence. Police again reiterated that they will go after PapaGomo and a party branch leader over the incident.